Slick-hitting second baseman who was one of the biggest stars in baseball at the turn of the century, collecting 3,252 hits during his 21-year career. He became the first player in baseball history to have a team named after him: the Cleveland Bronchos became the Cleveland Naps. He dropped out of school at a young age to work and help support his family. He won the American League home run title in 1901. 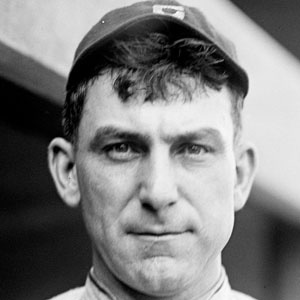 He was married to Myrtle Lajoie until her death in 1951. He was one of the original members of the Baseball Hall of Fame, along with star pitcher Cy Young.